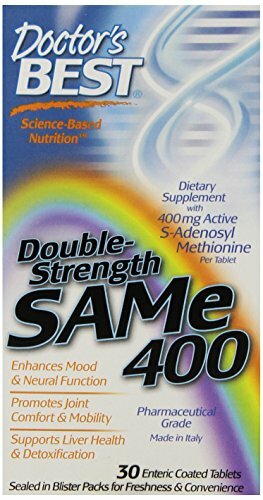 ★ 100% NATURAL AND SAFE MEMORY BOOSTER: Scientific Health Partners will never use fillers, binders, or artificial ingredients in our formula EVER. 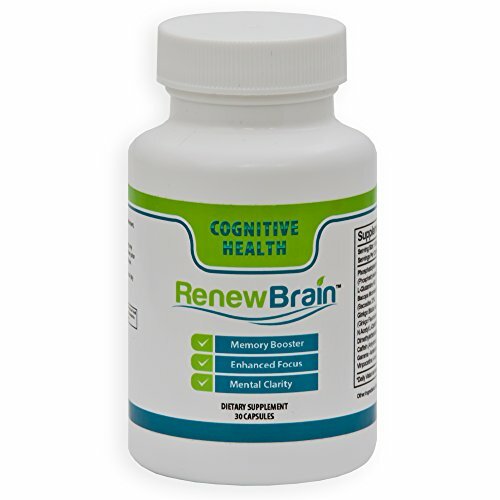 RenewBrain is 100% natural, pure, and made in the USA in certified manufacturers. Every batch is governed by strict guidelines for safety and quality, ensuring top quality of consistently safe and effective products for our customers. ★ INCREASE CLARITY, MEMORY AND BRAIN FUNCTION OR YOUR MONEY BACK: In addition to its powerful memory increasing and clarity enhancing properties, our Memory Booster has been shown to be bring back youthful energy and performance in all areas of life with long term use. Use it for a full thirty days, and if you don’t love, we’ll refund every penny. Either you love it, or it’s 100% free! 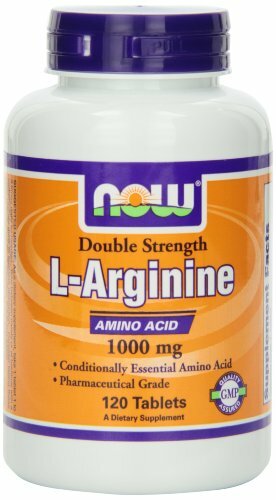 ★ POWERFUL, PROVEN, NATURAL AND SCIENCE BASED RESULTS: Supports neurotransmitters, Increases brain blood flow, Reduces stress, Protects brain cells from oxidative stress. 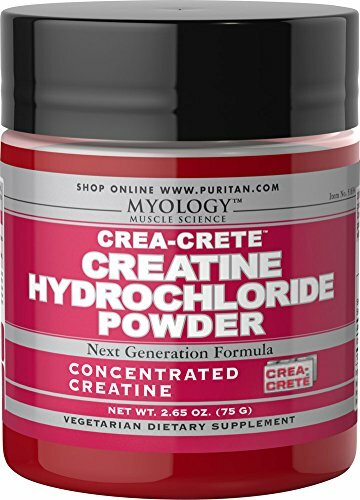 A superior brain supplement that helps with focus support, natural concentration support to stay motivated, reduce procrastination, increase attention span and increase creativity. 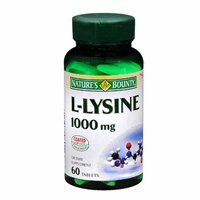 FOR MAXIMUM/QUICKEST RESULTS:For increased memory, enhanced mental clarity and increased focus, take one capsule per day for at least thirty days for guaranteed memory boost. 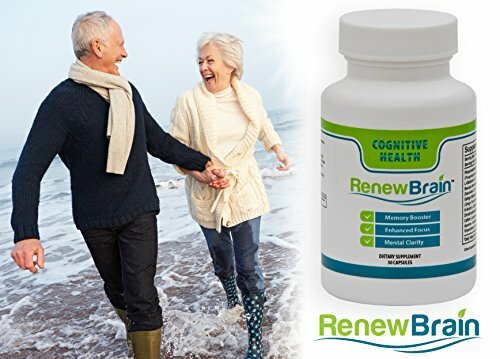 While most memory boosters hide behind a veil of hype and a “proprietary blend”, RenewBrain is the #1 Memory Booster from Scientific Health Partners, because it produces the BEST results. 100% NATURAL AND SAFE MEMORY BOOSTER: Scientific Health Partners will never use fillers, binders, or artificial ingredients in our formula EVER. 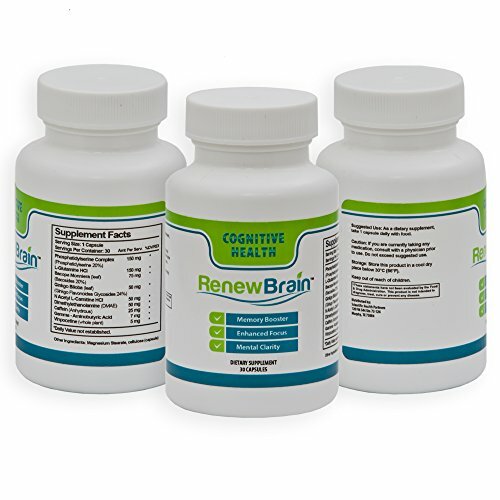 RenewBrain is 100% natural, pure, and made in the USA in certified manufacturers. Every batch is governed by strict guidelines for safety and quality, ensuring top quality of consistently safe and effective products for our customers. INCREASE CLARITY, MEMORY AND BRAIN FUNCTION OR YOUR MONEY BACK: In addition to its powerful memory increasing and clarity enhancing properties, our Memory Booster has been shown to be bring back youthful energy and performance in all areas of life with long term use. Use it for a full thirty days, and if you don’t love, we’ll refund every penny. Either you love it, or it’s 100% free! POWERFUL, PROVEN, NATURAL AND SCIENCE BASED RESULTS: Supports neurotransmitters, Increases brain blood flow, Reduces stress, Protects brain cells from oxidative stress. 100% MONEY BACK GUARANTEE: You may find imitators, but they come with fillers and false claims. In fact, if you spend less now, then you’ll pay more later. Scientific Health Partners RenewBrain has the most potent active ingredients PROVEN to increase mental function. RenewBrain is backed by our 30 DAY 100% MONEY BACK GUARANTEE. If after 30 Days you are not 100% THRILLED with your purchase, send back the empty bottles for a full 100% refund. ★ 100% MONEY BACK GUARANTEE: You may find imitators, but they come with fillers and false claims. In fact, if you spend less now, then you’ll pay more later. Scientific Health Partners RenewBrain has the most potent active ingredients PROVEN to increase mental function. 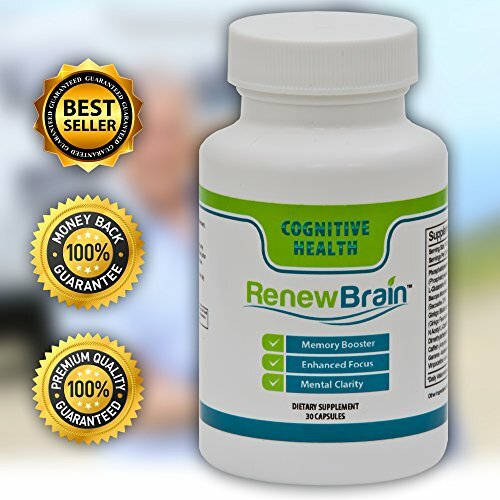 RenewBrain is backed by our 30 DAY 100% MONEY BACK GUARANTEE. If after 30 Days you are not 100% THRILLED with your purchase, send back the empty bottles for a full 100% refund. ★ FOR MAXIMUM/QUICKEST RESULTS:For increased memory, enhanced mental clarity and increased focus, take one capsule per day for at least thirty days for guaranteed memory boost. 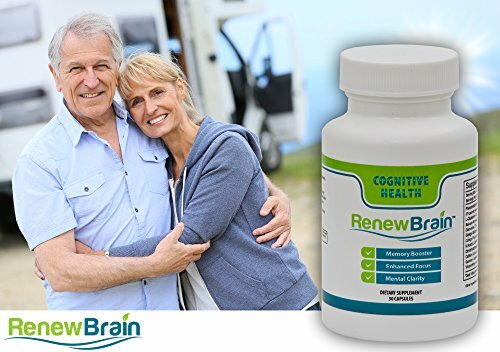 While most memory boosters hide behind a veil of hype and a “proprietary blend”, RenewBrain is the #1 Memory Booster from Scientific Health Partners, because it produces the BEST results. Because it contains a proven phosphatidylserine complex and 50 mg of ginkgo biloba to protect against age-related cognitive decline. L-glutamine hcl combines with a well-documented blend of other powerful ingredients to provide protection against memory loss and boost cognitive function. Why wait and risk the possibly irreversible effects of age-related cognitive decline? Try the RenewBrain System and take control of your brain health today!